Acrylic Prints transform your photos into spectacular works of art. Acrylic is a modern day substitute for traditional framed prints. Your images will pop with radiant and vivid colors. Acrylic Prints are adhered and trimmed by hand. Our expert staff will make every effort to ensure that the presence of dust has been removed, but small imperfections can be part of the handmade process. 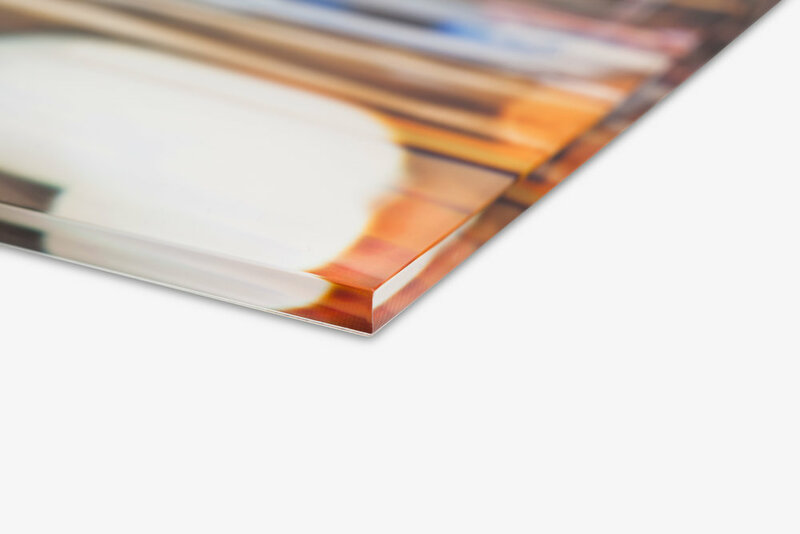 To place an Acrylic Print order, select the images you would like to print from an Album, then click "Order Prints" which is located on the right side of the window. Next, select Acrylic Prints, then choose your desired size and options for all the images. Once finished, click "Add to Cart." Please note, you may change Print Sizes and Crop photos after they have been added to the Cart.